Since the inception of the horseless carriage, driver and passenger safety has presented a challenge to vehicle designers. As speeds, traffic, and vehicle complexities have increased, so too has both the demand for and the ingenuity of vehicle safety systems. 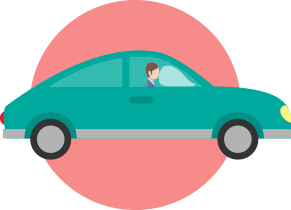 The modern car is made much safer by means of a comprehensive safety philosophy that is expressed through the various features that are employed to keep driver and passengers safe on the road. If ever there was a reason to upgrade to more modern vehicles, it is because of rapidly advancing safety technologies. Still the single most important piece of vehicle safety equipment is the humble seat belt. A simple lap belt or perhaps an inertia reel shoulder belt is acceptable but technology has improved. The modern seat belt is a three-point sash style occupant restraint that uses active force-monitoring to sense high loads associated with a crash in order to accomplish pre-tensioning. Pre-tensioner systems tighten seat belts in the nano-seconds of rising impact force thereby reducing impact forces transmitted to the occupant's body. Drivers and passengers should pay heed to the dinging seat belt reminder tone and fasten seat belts for every drive. Another common technology in most cars is the airbag. Airbag systems use sensors to detect crash impact forces and to inflate a cushion between occupants and the interior of the vehicle. The basic airbag design kept the driver from hitting the steering wheel. As the technology developed, passenger side airbags, side impact and side curtain airbags, and knee airbags were developed. Further development led to things like inflatable seat belt airbags and occupant-sensitive airbags that inflate according to passenger size, seat position, impact forces, and seat belt usage. 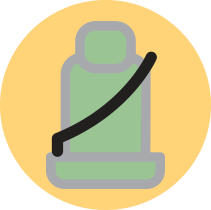 In order for an airbag system to be effective, seat belts must be worn as they keep the occupant positioned in front of the airbag. Antilock braking, or ABS, uses wheel speed sensors to determine if a wheel is skidding (low/no rotation compared to the other wheels). If a skid is sensed, the system will release braking pressure until the wheel speed increases. This technology has taken away the need to "pump" or "feather" the brakes if a skid is encountered. 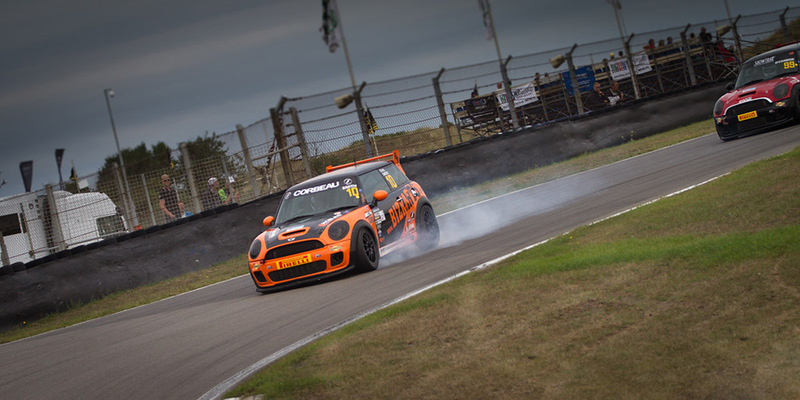 Image Courtesy - «Braking» by Martin de Witte on Flickr, licensed under CC BY 2.0. The brake pedal can be aggressively pressed and the system will yield the shortest braking distance. However, it should be noted that on snow, ice, or gravel, the system can be tricked and a longer stopping distance results than a skidding stop would yield. Electronic stability control (ESC) uses motion sensors to detect loss of steering control and to apply independent braking (braking any given wheel) to help the driver avoid understeering/oversteering and to regain control of the vehicle. Some ESC systems may reduce engine power until control is regained. Traction control (TC), usually a secondary system of the ESC, also uses wheel speed sensors and a central computer processor to determine when road conditions and throttle positions are mismatched (imagine attempting to accelerate quickly on ice with the throttle pressed, the wheels spinning, but the speed low) and to apply braking to reduce the spinning wheel speed in a effort to restore traction. According to the National Highway Traffic Safety Administration, as many as 1/3 of all traffic fatalities could be prevented by implementation of ESC (and associated TC) systems. Adaptive cruise control uses forward looking sensors to keep the vehicle at a safe distance from vehicles in front of it. Some systems use inputs from satellite navigation systems or roadside equipment to further automate navigation and to prevent lane departures. Emergency Brake Assist (EBA) is used to fully apply the brakes if brake pressure is aggressive but fails to meet the full braking required to engage the ABS system. In order for ABS to produce the shortest possible stopping distance, the brake pedal must be fully depressed and the system allowed to modulate braking at the wheels. Studies show that drivers often don't press and hold the pedal thereby allowing the ABS system to work effectively. EBA senses aggressive braking and takes over the application of pressure at the pedal in order to fully engage the ABS system. Properly adjusted mirrors eliminate side blind-spots. However, drivers often fail to adjust mirrors properly and blind-spot accidents continue to occur. Blind spot monitoring senses a vehicle behind and to the side of the car and alerts the driver when a closure rate is sensed. 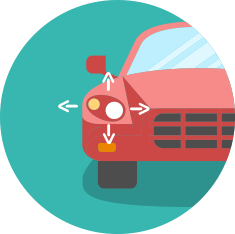 Forward collision warning (FCW) uses forward looking sensors to detect an imminent accident and then uses EBA systems to autonomously control the vehicle to prevent the crash, usually through braking. FCW and EBA are designed to prevent accidents not to autonomously drive the vehicle. The driver must be responsible for the vehicle at all times. Lane departure warning uses laser, infrared, or visual scanners to detect departure from the lane and to alert the driver. Lane keep assist uses the same lane departure sensing combined with adaptive cruise control to both alert the driver and to prevent the departure from the lane. Rollover prevention is another component of ESC that senses high speed in a turn, enough to result in a rollover, and applies a burst of braking along with a throttle reduction to reduce the tipping force. Some systems also prevent a tripped rollover (when an obstacle like a curb stops sideways motion at the bottom of the vehicle and creates a rolling motion) by actively engaging the suspension system. Back up camera systems show the driver a view of the ground behind the vehicle when in reverse. Proximity warnings and guidelines on the display can show how close an obstacle is or which obstacles the vehicle will avoid, which can be helpful for parallel parking. Image Courtesy - «backing up» by ..Russ.. on Flickr, licensed under CC BY-SA 2.0. 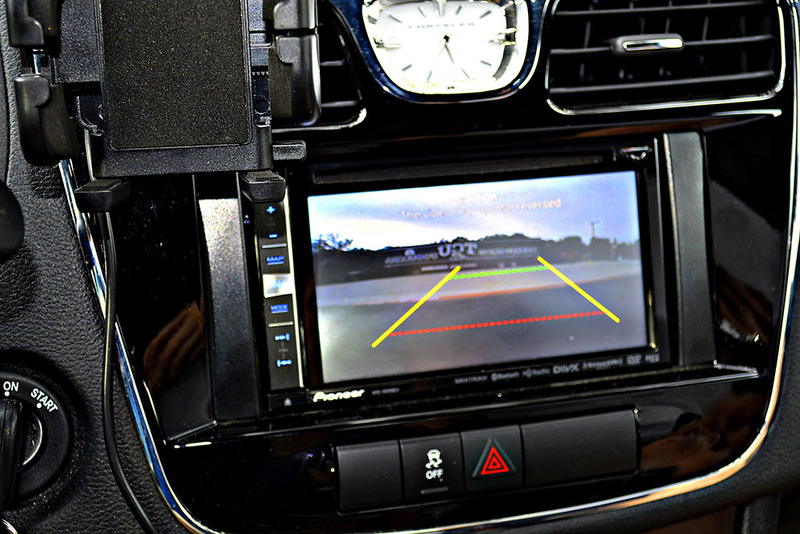 The most important safety feature associated with the backup camera is the ability to see obstacles that are shorter than the trunk-lid of the vehicle (like small children ). Adaptive headlights "look" into corners and adjust their beam to maximize visibility based on speed. An even more advanced option is Night Vision Assist which uses forward looking infrared sensors along with an infrared illumination source to provide an enhanced image on a screen/display at the driver's console. Typically, these display screens also highlight road hazards like pedestrians, cyclists, and animals. Additionally, advanced headlight systems will often use additional lighting to increase headlight intensity or "spotlight" a sensed hazard in combination with the alerts on the display. 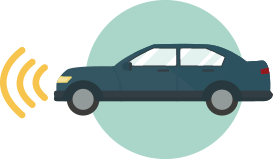 Inappropriate tire pressure can lead to rollover accidents due to loss of traction control. 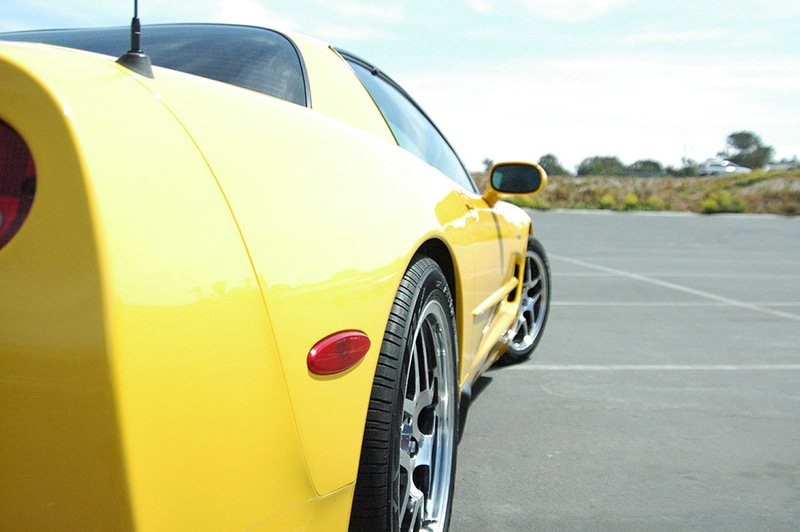 Tire pressure monitoring alerts the driver any time that pressure in the tire drops below the recommended level. Active head restraints automatically move the "headrest" into the optimal position during a crash. Typically, this involves moving the head restrain up and forward during a rear-impact in order to "catch" the head. While cars have become safer, it is still worthwhile to improve on your own safety skills as a vehicle owner. Read our article on the subject here.